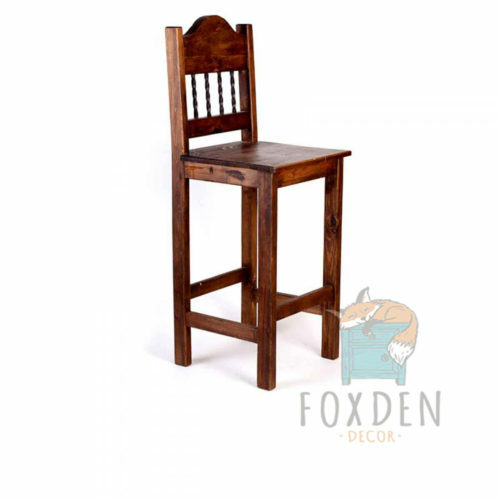 This bar stool is perfect for the home where elegant simplicity is adored. 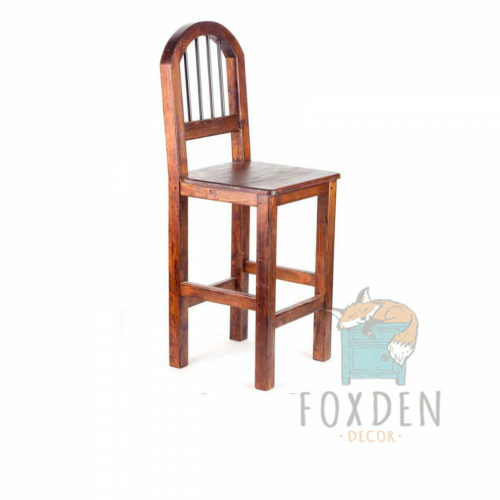 This barstool has many traditional rustic elements and has a supportive back for comfortable and relaxation. 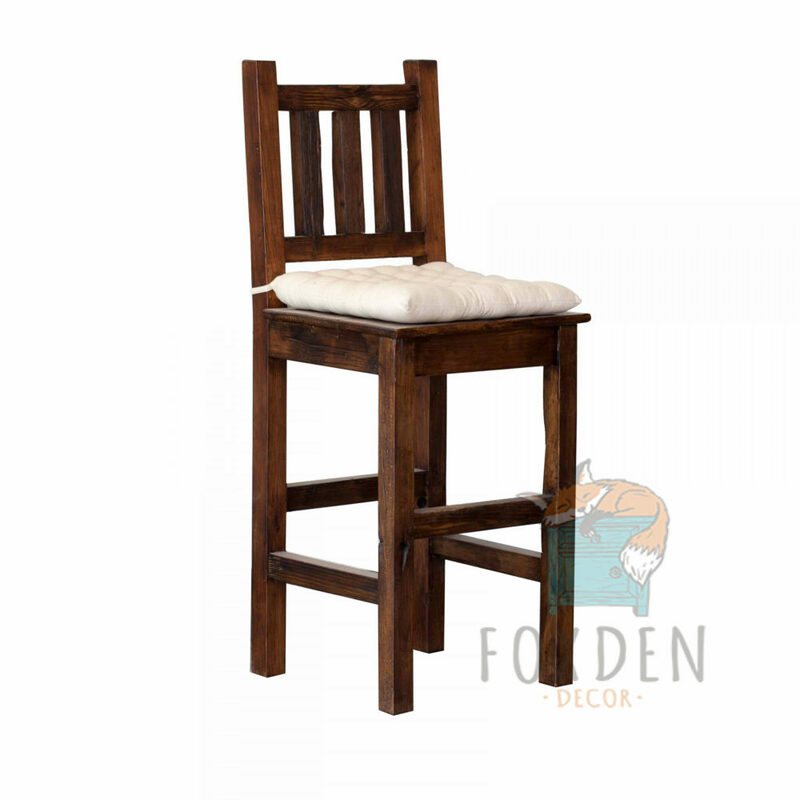 Whether you use these at a bar or a breakfast nook, these chairs are sturdy, comfortable and beautifully hand made. 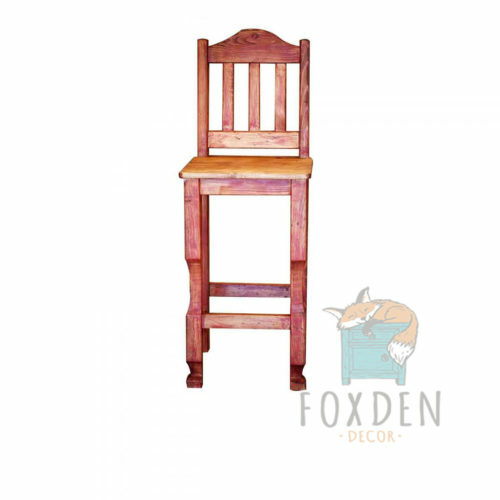 This chair is designed to fit well with any décor, but can be tied into an existing room design through a colorful or detailed pillow that will bring the look together. 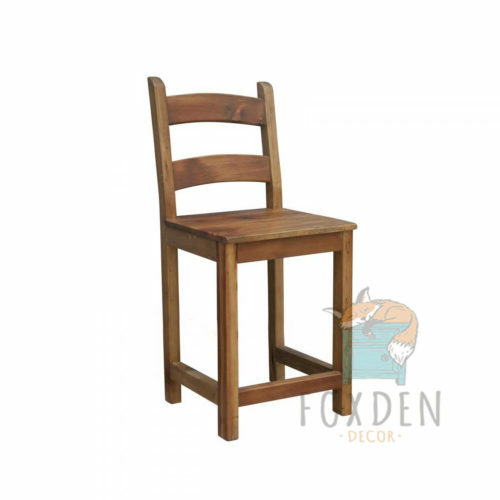 All chairs are hand made to order so customization is possible.